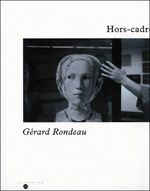 " France - Sri Lanka Cultural Exchanges "
Gérard Rondeau has been photographing museums and temporary exhibitions for 15 years, particularly those in Paris and at the Galeries Nationales. 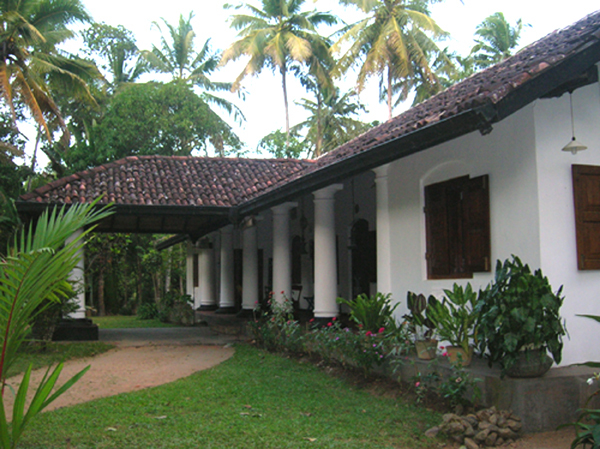 The photos reflect not only artistic works, visitors and buildings, but also the secret and meticulous behind-the-scenes activities which accompany the display of great works of art, examining the contrast between separated, institutionalised and grandiose art and the bustling life that surrounds it. "Ceylon's Drum Masters & Healers"
According to Grecian legend, Orpheus, that celebrated musician of Thrace, followed his recently dead wife, Eurydice, to the other world and obtained her release on one strict condition. He must not turn back, to take even a fleeting glimpse of his beloved, until they were both safely home. Unfortunately, Orpheus did look back and he lost Eurydice for evermore. 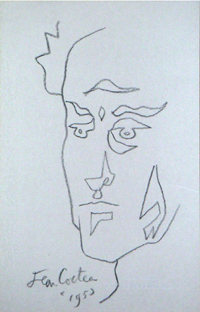 On 23 September at 6.30 pm, in the Alliance Francaise de Kandy, Mark Amerasinghe presents, a monodrama - an adaptation of his translation of Jean Cocteau’s original script of the black and white French film Orphée (screened in 1950) . Très riches et très diverses, l'architecture, la sculpture et la peinture de l'Asie du Sud et du Sud-Est offrent aussi une indéniable unité : elles véhiculent les valeurs et les significations liées au bouddhisme et au brahmanisme, nés tous deux en Inde. 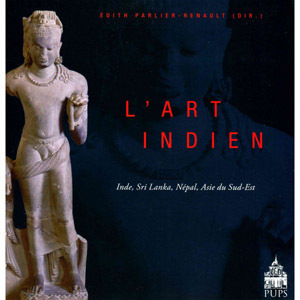 Cette présentation de l'art indien est divisée en deux grandes parties, la première consacrée à l'Inde, à Sri Lanka et au Népal, la seconde à l'Asie du Sud-Est, où les thèmes et les formes élaborées en Inde ont donné lieu à partir du VIe siècle environ à des développements spécifiques. 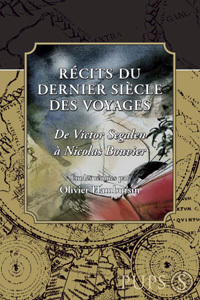 Le livre suit une progression chronologique, depuis les premières oeuvres d'art apparues dans les sites de l'Indus (2 300-1 750 env. av. 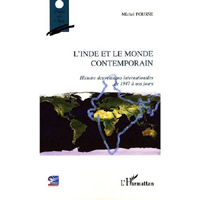 J.-C.), jusqu'à la période contemporaine et retrace les grandes étapes de l'histoire de l'art en Asie du Sud et du Sud-Est. Accompagné de nombreuses illustrations, d 'un index et d'un glossaire, il permet au lecteur de s'initier à l'une des grandes civilisations du monde, encore vivante aujourd'hui. Paris - Delhi - Bombay..., an exhibition that invites to discover the modern Indian society through the eyes of Indian and French artists, with the ambition to generate exchanges and to create lasting links between the two cultures, the two artistic scenes. 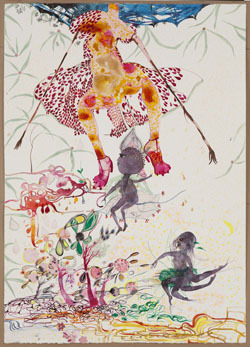 As part of its spring-summer 2011 Indian Season the Musée Guimet is presenting “Chimeras of India and the West”, an exhibition of contemporary work by the Indian-born American artist Rina Banerjee. 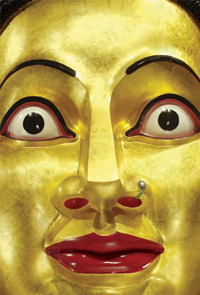 Installed at the heart of the permanent collections, Banerjee’s hybrid, poetic compositions enter into resonant interplay with the works held by the museum, which date back hundreds and thousands of years, offering a new angle on Asian civilisations and their complex relations with the West. 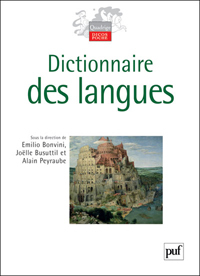 Conçu pour témoigner de la diversité des langues du monde, ce dictionnaire présente près de 200 langues, familles ou sous-familles de langues, regroupées géographiquement par continent. Il résulte de la collaboration de 151 auteurs, universitaires ou chercheurs, français ou étrangers. La majorité des langues décrites sont issues d une recherche de première main, réalisée par des auteurs, pionniers ou premiers descripteurs de la langue qu'ils traitent. The Asian region comprises the largest English-knowing population in the world: the estimated users of English in India and China alone comprise over 533 million people. This book provides crucial reading for students and researchers of world Englishes in the Asian context. 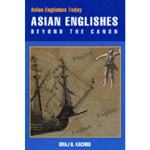 It is an insightful and provocative study of the users and uses of English in Asia, its acculturation, nativization and innovative dimension of Asian creativity. It contextualizes a variety of theoretical, applied and ideological issues with refreshing interpretations and re-evaluations. The issues are specifically addressed to Asia but have relevance to all English-using students and researchers. The book also includes an extensive bibliography representing pedagogical, theoretical and historical resources. This volume can be used as a text or a resource book for graduate and undergraduate courses in English studies, Asian Englishes, applied linguistics, sociolinguistics, critical linguistics, post-colonial studies and ELT. It was in a spirit of brotherhood that the Bengali Nobelist Rabindranath Tagore, upon arriving at the port of Jakarta in 1927, remarked, "I see India everywhere, but I do not recognize it." In this light, an Inner Circle anglophone in Asia who says "I see English everywhere, but I do not recognize it" should not be presumed arrogant. 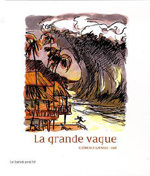 "Au huitième jour, Perle et sa famille arrivèrent tard sur la plage, car la nuit, il y avait eu beaucoup de vent. Ils avaient commencé une partie de cache-cache et s'amusaient énormément quand une énorme vague, venue de très loin, arriva en grondant. Elle se recourba et roula sur le sable, avec fracas, brisant et emportant tout sur son passage. C'était comme un gros soufflet qui en un instant pulvérisait tout." As a teenager from Sri Lanka, Sunny liked to play cricket. But, none of his new friends in Manila were remotely interested. That is until the gorgeous Tina arrived with her impeccable timing. The year was 1971, a year for an extraordinary match. Three decades on, Sunny is now settled in London with a teenage son of his own. But, despite the quiet comfort of his life, he feels unmoored. Trying to reconnect with his past, he goes to watch the visiting Sri Lankan cricket team play at the Oval. As the sun goes down at the end of the match, he discovers that love, like cricket, is more than just a game. He sees one last chance to get his life into focus, if only there is time. From the acclaimed author of "Reef" and "Heaven's Edge", "The Match" is a moving, funny family story of finding home and coming home, of cricket, growing up and falling in love. 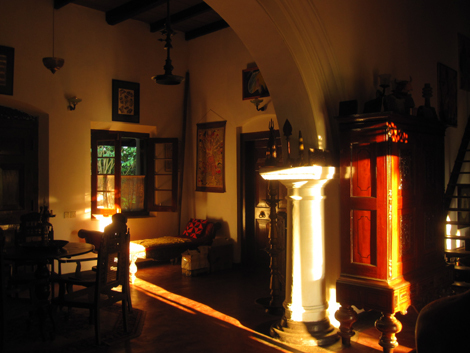 Even if the "travel literature" retains a good position in the field of research as well as in the heart of many readers, the XXth Century's writtings are not really the object of criticism by scholars. Nevertheless, this century has been enriched by many prestigious writters : Pierre Loti, Victor Segalen, Paul Morand, André Gide, Joseph Kessel, Blaise Cendrars, Michel Leiris, Henri Michaux, Raymond Roussel, Valery Larbaud, Claude Lévi-Strauss, Michel Butor, Jean-Marie Gustave Le Clézio, Jacques Lacarrière, Jacques Réda, Nicolas Bouvier, etc. 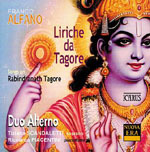 About the Book New renderings of classic Indian folk epics from the 2000-year-old Fables of Bidpai. These timeless, charming, and humorous tales have survived through the centuries and have resurfaced in most of our popular moral fables. These tales have received the highest praise from authors of some of the world's finest literature. The tales of Kalila and Dimna from the Fables of Bidpai originated almost 2000 years ago in a Sanskrit collection of animal stories called the Panchatantra. These charming and humorous stories have found their way in one form or another into the folklore of every major culture and tradition. They have influenced all our fables from Aesop to La Fontaine, including Uncle Remus, The Arabian Nights, and The Canterbury Tales. Our page "Jean de La Fontaine"
The discovery of the Indian Theatre, in the 1780s, originates from the obstination and the chance of a British, William Jones, who was convinced, in spite of the denegations of Brahmins and scholars, of the existence of chronicles about the history of the country. 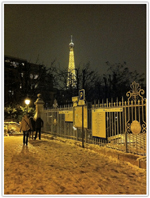 It was only informed about the existence of "collections of conversations", without giving more details. But one day, a Brahman accepted to give to him one of these "dialogues" - in reality, a play and an immense chef-d'oeuvre : Sakuntala. Immediately, William Jones translated this play into English with a considerable and lasting impact in Europe. MAISON DES CULTURES DU MONDE, 101 Bd Raspail, 75006 Paris. 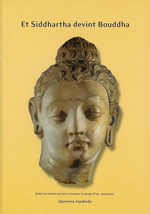 Jayasena Jayakody's "Amavessa", the popular novel based on the life of the Gautama Buddha has been translated into the French language. 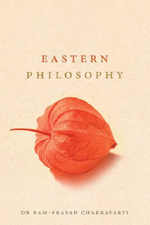 "The time has come for global philosophy to move beyond the model where the West is at the centre of radiating spokes of comparison". 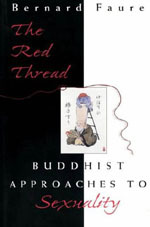 In this study, Bernard Faure reveals Buddhism's paradoxical attitudes toward sexuality. 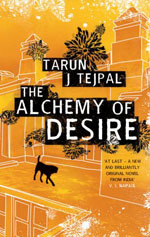 Set against the brilliantly drawn backdrop of India at the turn of the millennium, The Alchemy of Desire tells the story of a young couple, penniless but gloriously in love. This is a major novel by one of the most significant new voices of his generation. 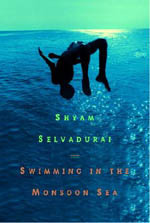 "Swimming in the Monsoon Sea"
Shyam Selvadurai's brilliant novels, "Funny Boy and "Cinnamon Gardens, have garnered him international acclaim. In this, his first young adult novel, he explores first love with clarity, humor, and compassion. 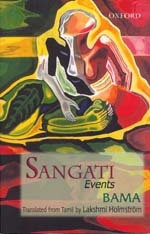 Sangati is a book about a community's identity, and ends on a personal note: that Paraiya women are always the most vulnerable, even when educated, independent, and living alone, like Bama herself. 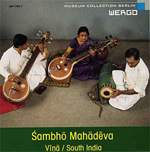 Set against the backdrop of the ancient walled city of Hyderabad and mounting Hin- du-Muslim tensions, "Madras on rainy days" lyrically evokes the complexities of life behind the chador. 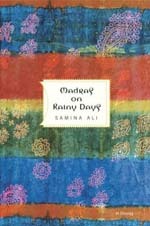 It is a gorgeously written novel by an original new voice in international fiction.